Kenyan singer, Gabu, formerly of the P-unit boy band reportedly assaulted a waitress at the XS millionaires on the morning of Sunday, September 4. He was in the company of his security detail and hurt two waitresses after hurling beer bottles at them in a drunken stupor. He was arrested and taken to the Industrial area police station and later released upon the intervention of Babu Owino. 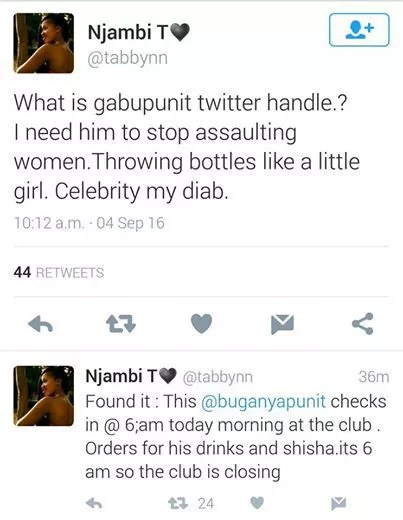 Kenyan singer, Gabu of the now defunct P-unit boyband reportedly assaulted a bar attendant on the morning of Sunday, September 4. The tale goes, that, Gabu walked into the XS millionaires at 6 in the morning when the club was almost closing. He was in the company of his security guards. He made an order for drinks and sheesha. He got his drinks alright but his sheesha order took long because the guy who fixes the bongs had already left. 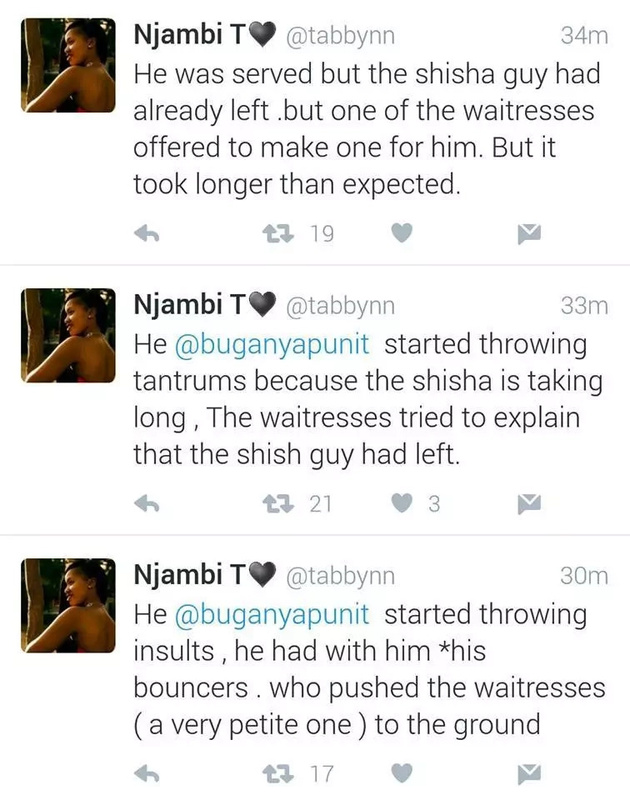 One of the waitresses offered to fix him a bong but ended up taking a long while.